Those aiming to develop innovative products should not only be aware of what today’s customers need, but also what will benefit them in the future. Our aim is to transform the options and major potential offered by LED technology into sensible products and solutions, that in turn offer specific additional benefits and that feature significant technical and economic advantages. As ‚pioneers‘ in LED utilisation, we base our activities on a depth of experience gained over many years, and are in continual discussion with leading LED manufacturers. Our dedicated development expertise in the relevant sectors of construction/mechanics, lighting technology and electronic hardware/software is the precondition for designing products in a complete range of characteristics that optimally meet demands. We also maintain an in-house photometric and luminaire laboratory equipped with state-of-the-art facilities for validation purposes. The structure of our portfolio is based on the design principles of platforms and modular kit systems – this enables us to respond rapidly to new requirements and keep our products completely up-to-date with regard to rapidly changing technology. Appearance, quality, practical utility and price significantly determine the acceptance level of a product. This is why when developing the LEDiKIT® portfolio we defined good light, formal and aesthetic integrity, high energy efficiency, durability and value for money as central product requirements, to then develop and use technologies that enable us to achieve these aims. Our solutions consist of highly specialised optical systems as assemblies of LEDs with reflector / refractor and diffuser moulded parts such as the DSR and DRO optics. Material selection and their production and refining processes guarantee maximum performance and durability. The same applies to our integral microprocessor-controlled LED control concept LEDiDRIVE® that continuously records all relevant LED operating parameters and guarantees optimum LED operation at all times. It also ensures light according to needs by controlling luminous flux/wattage levels according to time and individual user settings, in this way sustainably reducing energy consumption. Effective components for LED/electronic cooling, specific humidity management, e.g. with use of drainage structures and the integration of air-permeable membranes, as well as effective overvoltage protection ensure long-term operating safety and compliance with applicable EN safety standards such as EN60598, EN63031 and EN62560. Practitioners appreciate the highly simple and safe mounting of our solutions that is also focused on during product design. 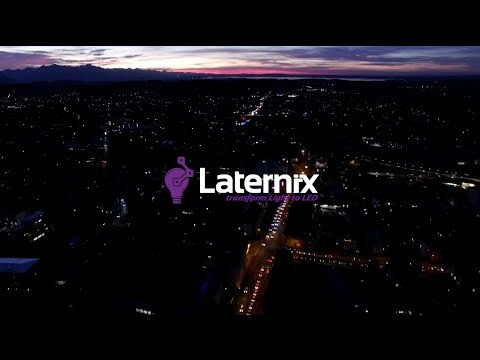 Selected Laternix products are registered and protected trademarks in the form of utility models and specific names.